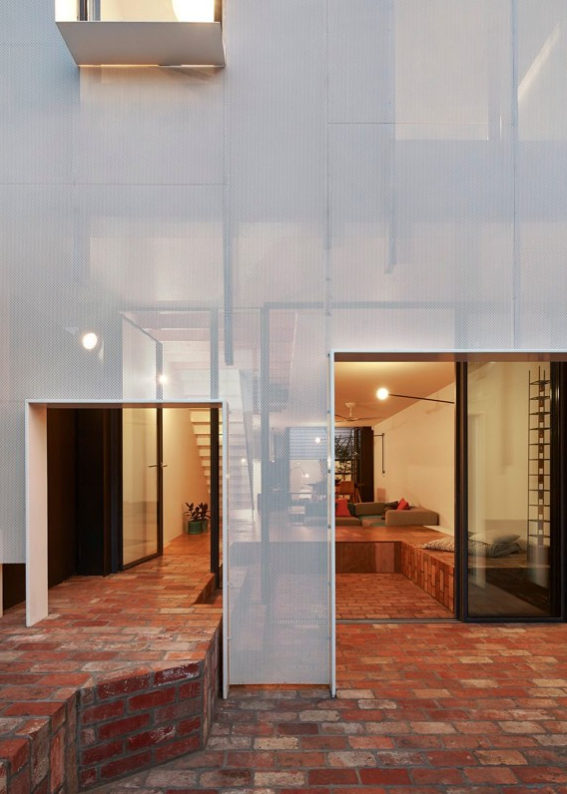 With the ever-increasing clutter of a newborn baby to consider, the owner of the Mills house in Melbourne approached Austin Maynard Architects seeking a considered and unique solution to storage in the home. 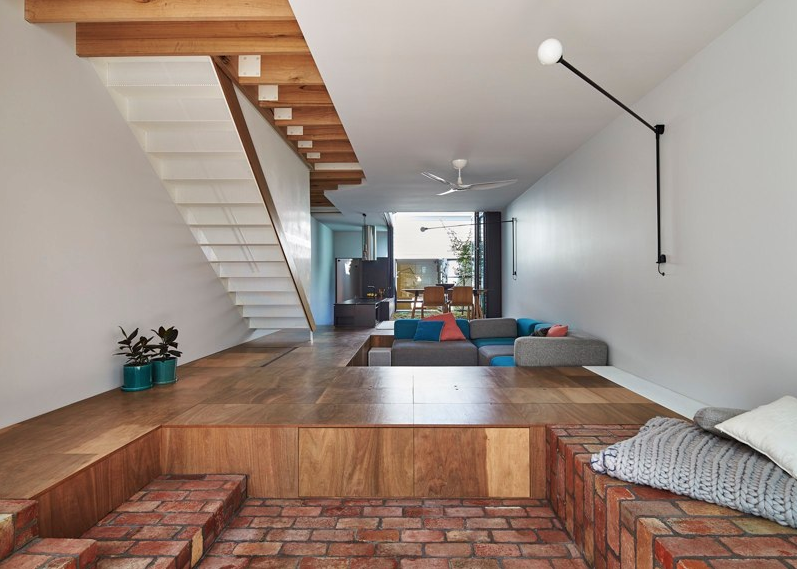 Referred to by Austin Maynard Architects as the ‘toy management house’, the project extends on a single level weatherboard terrace, using a large lightwell as a transition between old and new structure. 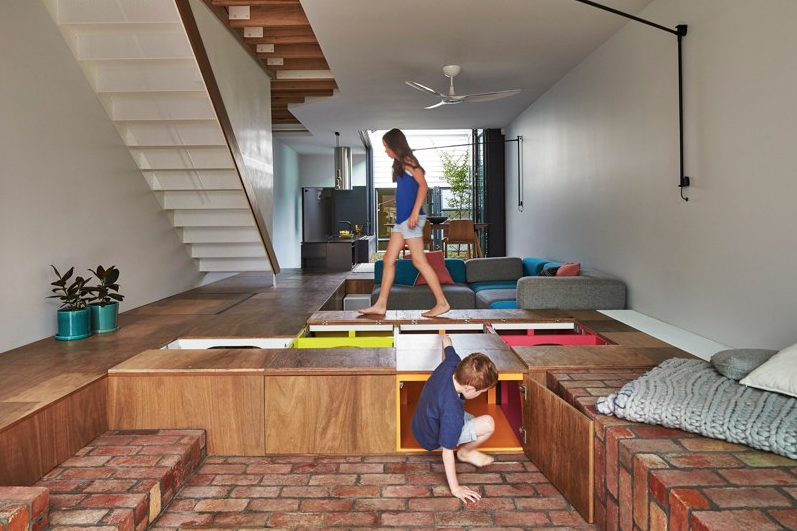 Austin Maynard Architects addressed storage in the limited space by challenging the traditional concept of cupboards built into walls, looking instead to bring function to unused space underfoot. 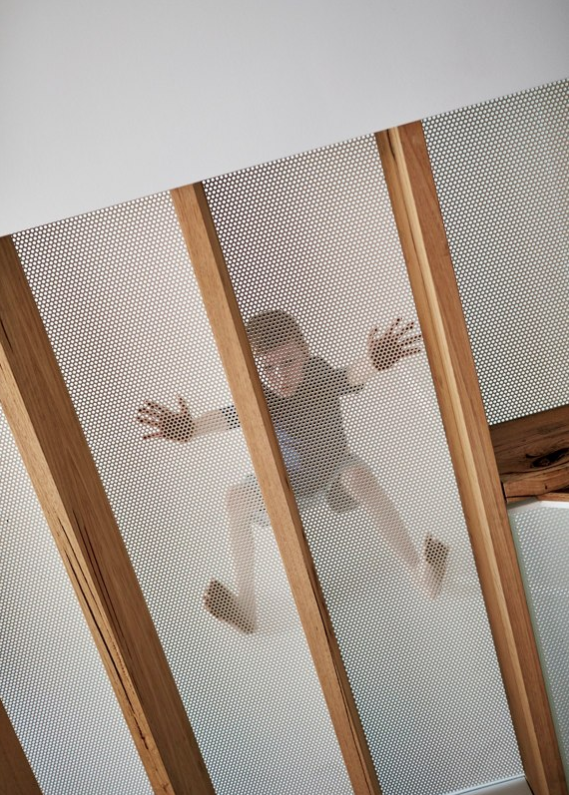 Perforated metal screens throughout the home allow for breeziness and filtered natural light to permeate the interior, while still offering a degree of privacy. 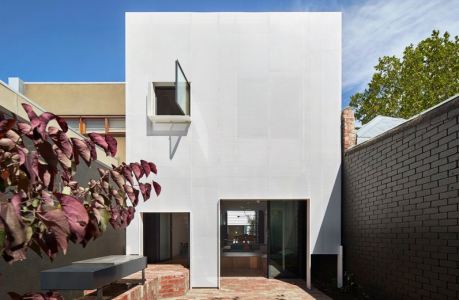 The project is the latest in a series of notable residential projects for Austin Maynard, with their masterful Tower House (featured in Mezzanine: Summer) garnering multiple accolades for its engaging reimagining of the structure and function of the modern family home. Read more on Austin Maynard’s Tower House here.